After decades of war, dictatorship, sanctions, and occupation, Iraq is emerging as one of the region’s most important economies. In February this year the largest IPO in the Middle East since 2008 took place – not in the UAE, Saudi Arabia or Qatar – but Iraq. 70% of the shares were bought by foreign investors. The IMF predicts that in the next two years the Iraqi economy will grow faster than any other Middle Eastern country bar Libya. This is largely due to the country’s rapidly rising oil production. For the first time in 30 years Iraq’s oil production has surpassed 3 million barrels-per-day, and the International Energy Agency believes that in less than 20 years the country will overtake Russia as the world’s second largest oil exporter. Iraq also has huge gas fields and mineral deposits, as well as a rich agricultural tradition due to the fertile lands watered by the two great rivers, the Tigris and the Euphrates. Iraq is therefore not a country that can be ignored by international and regional companies, despite its ongoing political and security issues. A key concern for foreign companies when considering doing business in Iraq is whether disputes can be settled in an efficient, fair and final manner. Arbitration can satisfy these needs, and although in Iraq it has its challenges, arbitration is possible and is getting easier. Iraq is a civil law system and its laws have been subject to constant and significant change in recent years. Many laws and regulations have been issued which have relaxed the legal environment and made it easier for foreigners to invest and operate in the country. Iraq has explicitly endorsed the use or arbitration by investors (see article 27 of Investment Law 2006), as well as the use of arbitration in relation to government contracts (see article 11 of Regulation No.1 of 2008 ‘Regulations for Implementing Government Contracts). The law relating to arbitration however has remained largely untouched. It does not exist as a free-standing law but can be found in articles 251 – 276 of the Code of Civil and Commercial Procedure 1969. The arbitration law is not modern and in parts is very different to the UNCITRAL Model Law on International Commercial Arbitration which is used in many countries around the world. 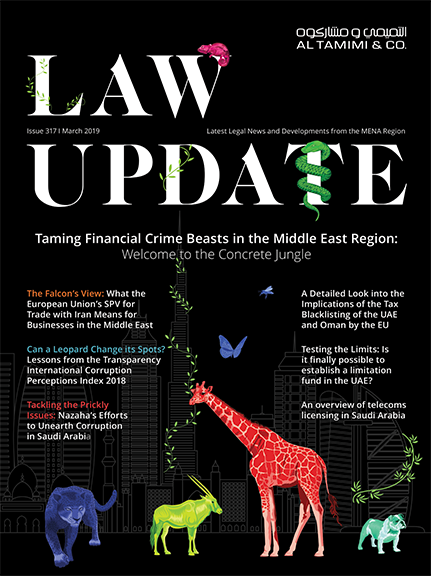 However provided caution is used and expert legal advice sought, it is just as possible to conduct successful arbitrations under the law as it is in other Middle Eastern countries. Arbitration agreements must be in writing (article 252). The Iraqi courts must stay a court action if an arbitration clause exists, provided the party wishing to rely on the clause makes its objection as early as possible (article 253). There are no restrictions on who may sit as an arbitrator. There are no restrictions on who may represent a party. There are no provisions allowing or forbidding a tribunal from making orders for interim measures. Unless the parties agree otherwise, a tribunal has six months from accepting its appointment to render its award (article 262). A party can apply to court for an extension of this time (article 263). Unless the parties agree otherwise, a tribunal must comply with the procedures set out in the Civil Actions Law (article 265). Provided the agreement is clear parties can therefore choose to apply the ICC Rules or any other arbitral rules they wish. A tribunal must give reasons for its award (article 270). Parties do not have to use an arbitration centre to assist with the arbitral process, but it is recommended. In Iraq there are no restrictions on which centre can be used, so parties can choose international centres (ICC, LCIA) or regional ones (DIFC-LCIA, BCDR-AAA, CRCICA). Iraq does have two national centres: the Federation of the Chambers of Commerce Arbitration Centre and The International Commercial Arbitration Centre Najaf. Both centres will accept international as well as domestic disputes, although at present neither centre has any cases. Until these centres have a regular caseload of complex cases and a track record, it is unlikely that they will be used by non-Iraqi parties. Most arbitral awards are either complied with or form the basis of an amicable settlement between the parties. However there will be times when enforcement action is necessary. i. The arbitral agreement was invalid. ii. The award was not made in writing, or the tribunal acted beyond its powers. iii. The award does not comply with the Iraqi arbitration law, or contradicts public policy (Iraqi law does not distinguish between national and international public policy). iv. There are grounds for a retrial (such as forged evidence). v. There was a substantial error in the award or in any of the proceedings that might influence the validity of the award. When deciding whether to approve or annul an award it is not the practice of the court to reopen the substantive issues. Any decision made by the court can be appealed. Iraq is one of the few countries which is not a signatory to the New York Convention. This means that enforcing an Iraqi award outside Iraq will depend on whether the country where enforcement is sought has a treaty with Iraq on judicial matters; has some other special relationship; or is willing to enforce foreign awards regardless of their origin. Within the Middle East enforcement is made easier by the fact that Iraq is a signatory to the Riyadh Convention on Judicial Cooperation 1983. This treaty specifically provides for the reciprocal enforcement of arbitral awards. One of the conditions is that the party seeking enforcement must produce a statement from the local judicial authority certifying that the award has become finally binding, which in Iraq means the award must have been approved by the Iraqi courts. The Riyadh Convention will not however assist if the party against whom enforcement is sought is an Iraqi government entity. It is likely that as Iraq’s economy grows and attracts more international businesses, the role of arbitration in the country will become more important. At present the Iraqi arbitration law is flexible enough that parties can choose any arbitral institution they wish, and can choose their arbitrators and representatives. The courts will respect arbitral agreements and have the power to assist the process if necessary (such as by appointing an arbitrator where one party fails to do so, or granting more time for the issuing of an award). The courts do however have more powers to annul an award than would be the case under most modern arbitral laws (especially those based on the UNCITRAL Model Law). The shortcomings in Iraq’s current approach to arbitration have been recognized and there are reports of a new arbitration law being drafted. It is unclear when this law will be enacted and whether it will be based on the UNCITRAL Model Law. Since the aim of the law will be to attract international trade and investment it seems likely that it will be comprehensive and robust. Iraq’s High Judicial Council has also stated that Iraq is keen to join the New York Convention. Again, it is not clear how soon this will happen, but when it does it will be a crucial step in encouraging further foreign investment into the country.